HOME /Blog /Why should you choose UGears 3-d sets? If you haven’t experienced any of Ugears 3-d mechanical sets, you may be curious about what makes them so popular. Why these sets are liked by kids and adults of all ages? The answer to these questions, of course, lies upon the discovery of your first UGears mechanical model set. But, we won’t keep you waiting until then and reveal some of the features that make these models the most sought-for mechanical 3-d puzzles around. We use only natural materials. 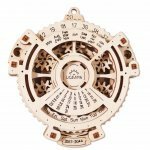 All the elements in UGears 3-d mechanical sets are made with natural wood materials that were not treated with any chemicals. We use a computer-programmed laser equipment to pre-cut pieces in the wooden boards. With the application of a special thermal process, the edges of the pieces acquire the signature, unique for all UGears models brown tint. Easy connection of parts that requires no glue. 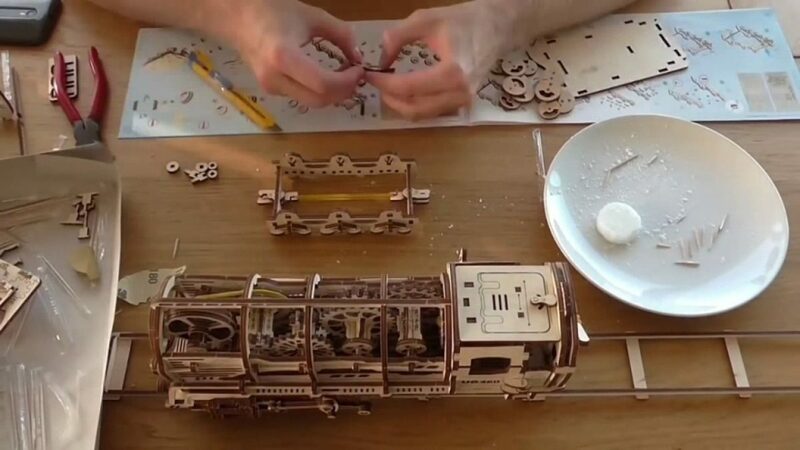 All the parts of UGears models, even the smallest ones, are connecting without the use of any glue. This is made possible with 2 types of parts connection, the axial (when parts are held together by small wooden rods put through special holes) and grooving (with spikes on one part that fit into the grooved indents of another, making a secure grasp). Each connection type ensures a stronghold of every element as well as the entire structure without the use of glue. Before beginning work on the assembly, it is highly recommended to study the enclosed instructions thoroughly. In the next step take the wooden sheets with pre-cut pieces out of the box and start planning the assembly process in the exact order indicated in the instructions. The assembly itself is a complex, yet exciting process, that can be approached individually as well as in a group activity. Contributing to developing skills such as logical thinking, planning, and organizing, UGears 3-d mechanical puzzles are guaranteed hours of fun and exciting activities with friends and family. Unlike a number of other models sets, UGears 3-d puzzles produce real motion! The secret is in the small internal rubber-band elements that work just like the ones in wind-up toys. Simply crank-up the rubber-band drive, release the lever and watch your UGears mechanical model start moving! Because of this self-propelled feature, the UGears models are not just the unique and eye-catching displays and decor items, but the fully-functioning toys that demonstrate the basic principles of the mechanics.